A hedge is to buy a contract or tangible good that will rise in value and then offset a drop in value of another tangible good or contract, thus protecting the trader from the second loss. The term “hedge” comes from gambling to defend yourself from loss by making a cross-bet. In everyday English the word hedge means a kind of defensive guarded behavior. In the last couple of decades, the term hedge fund originated for a fund which takes quite high risks by betting on derivative financial instruments. This is a bit confusing as hedge means being averse to risks whereas one has to take a high risk to do Forex hedging. FX hedging can be used by companies to eliminate foreign exchange risk when dealing in the foreign exchange market. This can be done via either the fair value or cash flow method. The accounting rules for foreign exchange hedging are addressed by both the US Generally Accepted Accounting Principles (US GAAP) and by the International Financial Reporting Standards (IFRS). When firms conduct business across country borders, they must exchange Forex for home currencies, when dealing with payables and receivables. This is done at the exchange rate between the 2 countries at that time. Foreign exchange always has the risk involved that the exchange rate will unfavorably change before you exchange the currency. Forex hedging can protect companies from this. Hedging is therefore a way for a firm to get rid of or minimize foreign exchange risk. 2 common hedges are options and forwards. 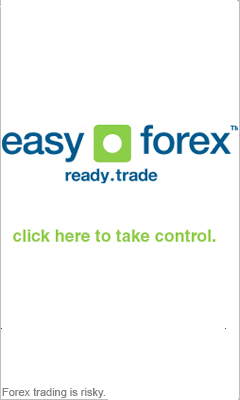 An options forex trade sets a rate at which the firm may choose to exchange currencies. A forward will set an exchange rate at which the business transaction will happen in the future. Guidelines for financial derivatives accounting and FX hedging can be found under the heading of IFRS 7. IFRS 7 states: “an entity shall group financial instruments into classes that are appropriate to the nature of the information disclosed and that take into account the characteristics of those financial instruments. An entity shall provide sufficient information to permit reconciliation to the line items presented in the balance sheet.” See their website for more details. The UGAAP rules are almost the same as those given under IFRS. The UGAAP standards that include Forex hedging guidelines are SFAS 133 and 138. SFAS 133, states the following: “(a) recognized asset or liability that may give rise to a foreign currency transaction gain or loss under Statement 52 not be the hedged item in a foreign currency fair value or cash flow hedge.” See their website for more details.